We're a little bit in love with hair accessories at the moment. It's been hair-accessory-a-go-go at Chelsea Doll, we have MASSES of them arriving on a weekly basis ready for the A/W season and we just can't help trying them on and creating new looks. Oh we do love a headpiece! Hair accessories can achieve so many different looks, from the classic and elegant (think wedding hair) to the completely insane (think Lady Gaga). There's a look for everyone and a hair accessory for every mood. Feathers are massively on Autumn's style agenda and we couldn't be happier! They look exceptionally graceful, adding a hint of the 1920s but also a not-to-be-understated vibrancy. Our A/W collections are set to be awash with feathers, think peacock and LOUD! 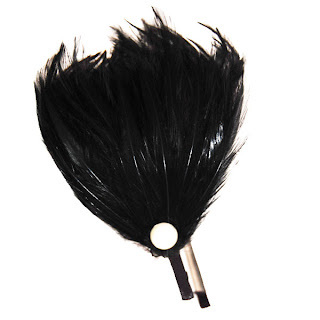 The Black Roxette Feather Hairband is £12 and is the first to be launched in its range. We just can't get enough! Ladylike elegance and glamour is a top tip for the new season. Looks are set to be polished with a 1950's edge. The jewelled hair clip is an absolute must to accessorise this style. 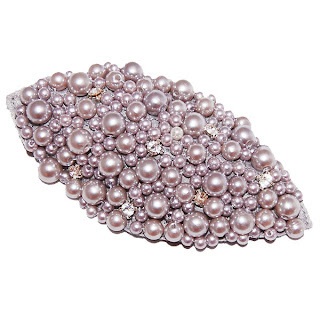 We adore this Silver & Diamante Bead Clip and the 1950's filmstar razzle-dazzle it exudes. 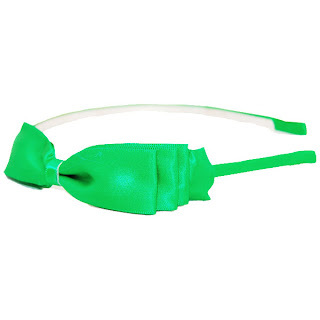 Priced at £8 it's a perfect party accessory! The next hair accessory trend is a firm favourite here at Chelsea Doll HQ. Personally, we've coveted hair bows for soooo long and now get the opportunity to feature them in our A/W collections, yay! Hair Bows are going to be huuuuge! Big or small, 80's or 90's, you've gotta be seen in one! 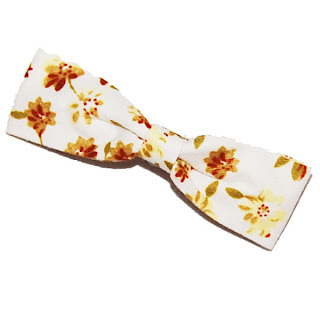 Throughout August we'll be adding lots of hair bows to our collections. The two we're most lusting after at the moment is the Green Bow Alice Band, priced at £6 and the Floral Bow Hair Clip, a snip at only £4. So we've shared our love for the hair accessory and given you an insight into what heady delights you can expect from Chelsea Doll during the new season. Hair accessories are BACK and long may they reign! Are we aever to old to wear hair bands?? Gosh I hope not!! We Love SALE - More Items Added!